The question of Windows 10 Mobile being dead – or in its last days – have been denied by Microsoft, but there’s no question that updates are being pushed well after PCs get their new builds. In what can only be termed a confirmation of this dichotomy, Microsoft announced new builds for PC and Mobile for the latest beta of Windows 10, but the build number for PC was 16176, while for mobile it was 15205. What about Lumia 735, 830, 930 and 1520? Out of luck, I’m afraid. Of course, Sarkar did say that they can keep Windows 10 Creators Update on these devices, but with an ominous double-disclaimer of at their own risk knowing that it’s unsupported. @Silaslang @DennisBednarz We have been clear. Work continues on Windows 10 Mobile! Not very encouraging, and feedback continues to pour from beleaguered Windows 10 Mobile users about lack of support or proper build rollouts. While all of this looks like Microsoft is trying to bring further bifurcation between PC and Mobile, the exact opposite might be happening. There’s no doubt that the company is trying to bridge the PC and mobile experiences, but that crucial functionality is in transition at the moment. As it attempts to bring x86 instructions support to new ARM processors, Microsoft is also trying to unify the code between PC and Mobile. The problem is: there aren’t that many devices that are amenable to this type of unification. That’s exactly the problem Microsoft is trying to solve as a matter of urgency. 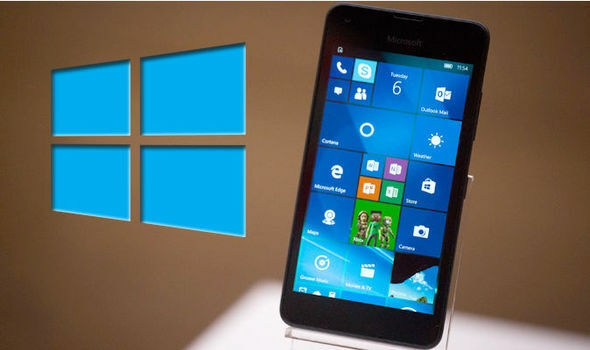 Later this year they will have a stronger case for letting Windows 10 Mobile rot by the side of the road, because newer devices – like Surface Phone or its “test” version – will eventually resolve that dichotomy and eliminate the need for a separate Windows Mobile experience. In order to cross that bridge, however, a few figurative eggs will need to be broken. And if that means alienating the relatively minuscule Windows 10 Mobile community, then that’s the cost of innovation – the cost of a new kind of mobility that transcends devices. And that’s the kind of mobility that Microsoft CEO Satya Nadella has been talking about for a while now. Microsoft is not interesting in fighting Android and iOS head-on, because that would be a lost battle even before it began. Combined, Android and iOS hold no less than 99.6% marketshare of mobile operating systems. Microsoft is now going after a user experience that neither Google nor Apple can match – the ultimate mobility, evidenced by the ability to switch devices seamlessly without any loss of experience or continuity. Apple and Google have bits and pieces of their own, but revolutionary technological leaps aren’t made by mere bits and pieces. Unfortunately, the bearers of that burden of transition – at least one group we know of – are Windows 10 Mobile smartphone owners. Hopefully, that will be a temporary experience – labor pains, in other words. We can only hope that Windows mobile users will be patient enough and loyal enough to see that transition through to its inevitable fructification, and be convinced to move to the new generation of mobile devices offering the full Windows experience, not just a mobile one. Is the New Windows 10 Mobile OS Microsoft’s Andromeda OS for Surface Phone?